I’ve recently started using /* and */ for single line comments instead of using //. I’m still using the latter style for comments that are attached to the end of a line of code, but for lines that only have a comment on them, I’m now using the first format. Here’s a piece of Regex that can automate the process of converting these comments. 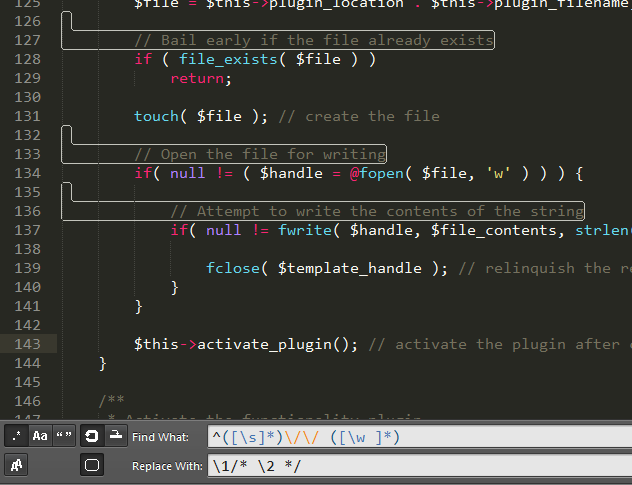 You can use it in the search-and-replace functionality of your editor (texted with Sublime Text). 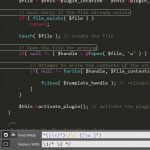 The regex will take care not to convert // comments that are following a line of code.